IMAGE: Rs may hit 70+ levels to the $ Photograph: Vivek Prakash/Reuters. Devangshu Datta predicts the good, the bad and the ugly of currency trends for the coming year. The US became the world's largest economy circa 1900 but the dollar became the world's reserve currency only after World War II. At that stage, a series of international agreements led to fixed exchange rates in major nations and the dollar achieved its unique status for several reasons. First, America was indisputably the winner of that war and also indisputably the biggest economy in the world. It had suffered little damage in relative term and the economy had grown through the manufacture of war-related goods. Other major powers had been devastated, with huge loss of life and manufacturing centres bombed out of existence. It was the only country capable of aiding others (including the losers, Japan and Germany) to recover. So, when the Bretton Woods twins (the World Bank and International Monetary Fund) were set up after WWII, the dollar was the only major currency that was anchored. It was tied to gold -- the US government was committed to redeeming dollars at a fixed rate for gold. By 1971, there were much more dollars in circulation than gold in official vaults. Importantly, many of those dollars were held outside the US. So, in 1971, America moved off the gold standard. By then, the dollar was the world's reserve currency. If two nations traded, they would designate the deal in the dollar, though neither used that. After 1971, fixed exchange rates also broke down, and the forex market as we know it started to evolve, with currencies being more or less freely traded. But, the dollar is still the designated currency for around 70 per cent of global trade. Apart from being the world's reserve currency, the US is still the biggest single nation-economy. It is approximately twice the size of #2 China and generates roughly one-fifth for global gross domestic product or GDP. It also runs a massive trade deficit, which makes it the world's largest importer. President-elect Donald Trump's platform is built around a pledge to protect the US economy and American jobs. So, he is expected to raise trade barriers, including tighter work-visa quotas. He is also expected to spend huge sums renewing US infrastructure. The specifics of what he intends are vague. But, the US job market is tight, with unemployment at multi-year lows. If more economic activity is to be generated in America itself, domestic inflation is likely. The Federal Reserve seems braced for that. The Fed raising rates is no surprise and that was baked into prices. But, every word of the statement is being parsed. Apparently, the Fed is prepared to hike rates three times in 2017, given its inflation projections. Fed Chair Janet Yellen was noticeably cautious when talking about the impact of changes in policy by the new administration. But, the Fed's projections for GDP growth have not changed, as yet. All one can say is that the Fed will hike if it sees economic activity picking up. The first impact is a stronger dollar. A weaker rupee might not help exporters into the US that much if the Trump administration does impose protectionist measures. But, a weaker rupee could help Indian exporters into other regions, if the rupee does weaken more than other currencies. A second impact is probably good for India. Gold and crude oil are both dollar-denominated and the two most popular items on India's import list. As the dollar has risen, both gold and crude oil have fallen and this should mean India's import bill stays low. There was genuine fear that crude prices could rise after the Organization of the Petroleum Exporting Countries concluded its recent agreement. This might still happen but stronger dollar could retard it. The third impact is negative, though. Indian companies with dollar-denominated loans and rupee earnings will struggle to service those as the dollar appreciates. This could mean a lot of pain. In a related development, portfolio investors are pulling out of rupee assets. 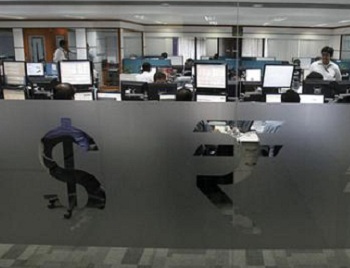 The rupee return is less vis-à-vis rising dollar yields and the exchange rate risk is up. We'll have to wait for Trump's plans to clarify before there's a better sense of prospects for exports to the US. But, the strong dollar should be a trend through much of 2017. 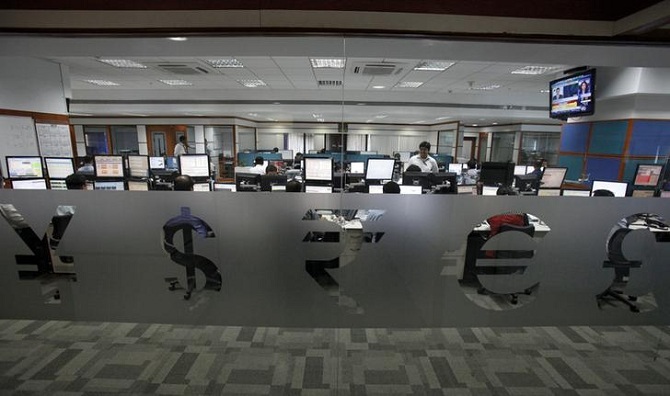 The rupee is also likely to weaken versus other currencies as the finance ministry takes accommodative action to aid a growth recovery. Should RBI allow the rupee to fall?